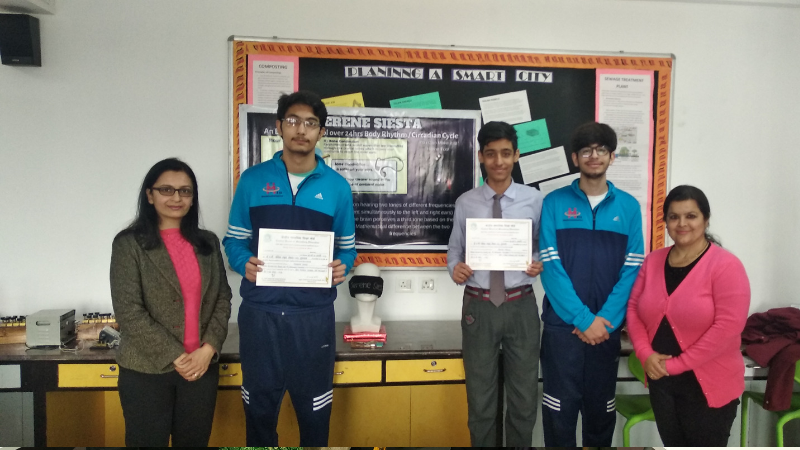 MRIS, Charmwood team comprising Romir Malik and Manhar Singh (Grade-XI Einstein) won first prize for their project- Serene Siesta in CBSE Science Exhibition held recently. The team has been selected for Nationals. 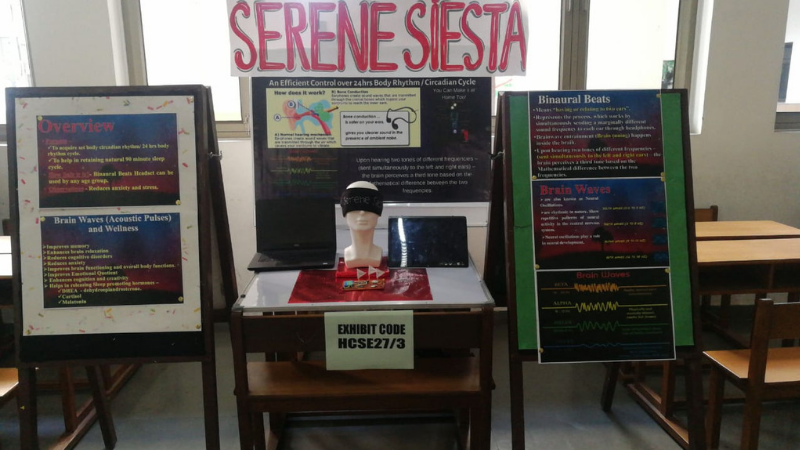 Project focuses on efficient control over 24 hrs Body rhythm/ circadian cycle/ sleep-wake cycle. 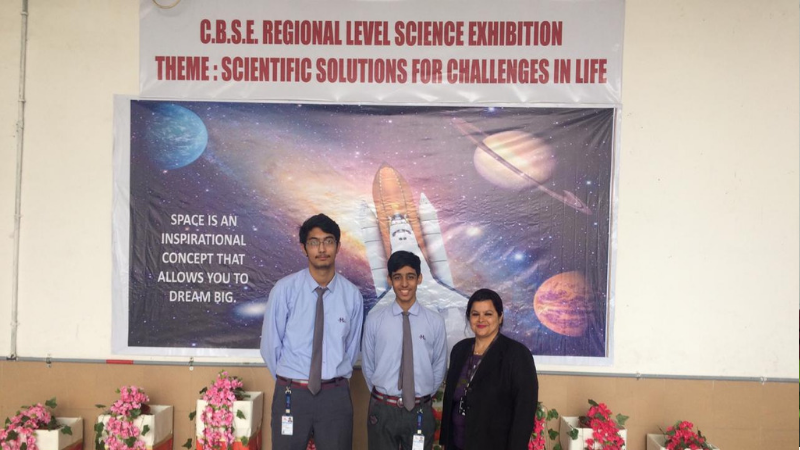 Principal-Ms Arpita Chakraborty congratulated the team, teachers and parents for the efforts. 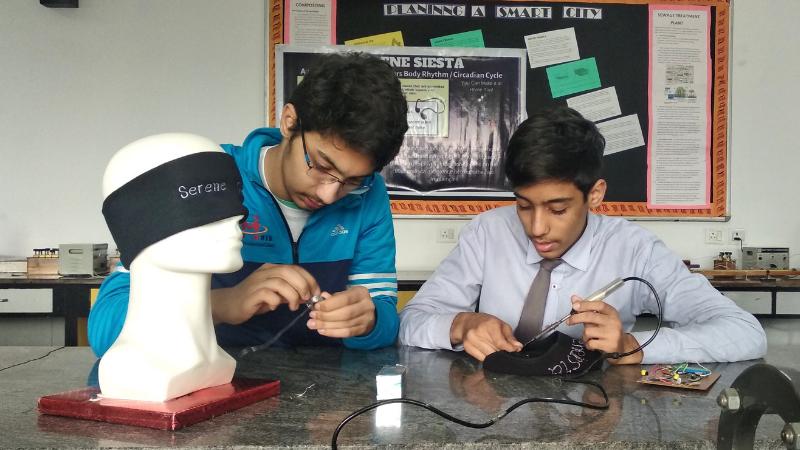 We all wish them success for National Level Exhibition.